Let’s talk about the best conditioners for color treated hair! If you’re an avid hair dyer, you’ll surely agree with the importance of using products designed for colored hair. Hair color literally changes the chemistry of hair, making it more porous, and more susceptible to moisture-loss. Additionally, you want to keep the color that you worked so hard for (and probably paid money for) looking its absolute best. As hair dye starts to fade, your hair will start to look dull and dry. Fortunately, scientists are working around the clock to come up with the best hair products available for colored hair. 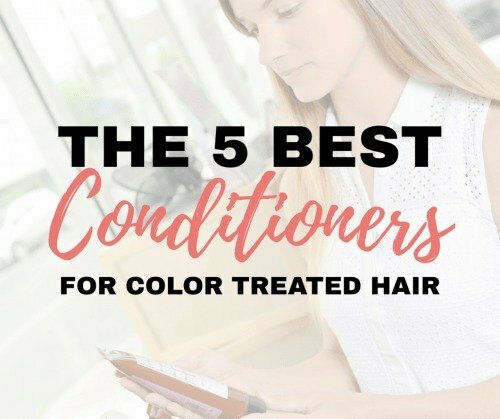 And since conditioner is one of the best things you can invest in for colored hair, I want to share with you 5 of the absolute best conditioners for color treated hair. 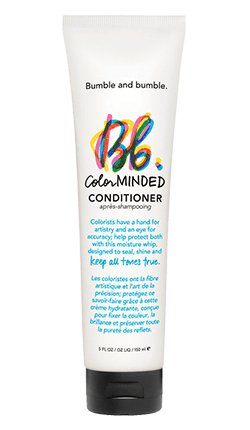 When looking for conditioners formulated for color treated hair, you’ll obviously want to look for a product with the word “color” in the name of the line, or one that is labeled “color safe”. 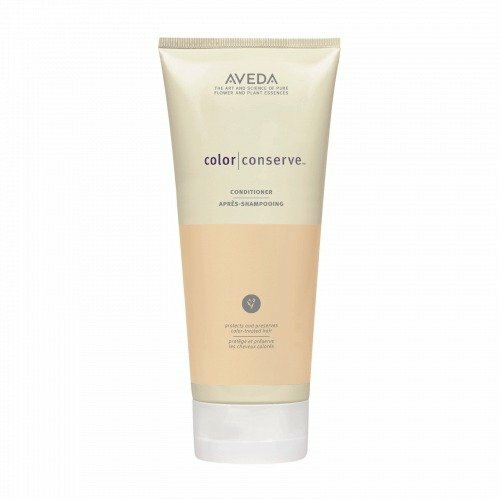 These are the best conditioners for color treated hair, as they are formulated with ingredients that will prolong the life of the color. Look for a product that will moisturize and prevent hair damage, while repairing the damage you already have. Hair color on damaged hair will fade much quicker since the color molecules can easily escape from the hair shaft. Look for products that are sulfate, salt and alcohol-free, as these ingredients can fade hair color. Remember: products with UV filter are your friend. The sun can totally damage your hair and fade your color, so protect it like you protect your skin. If you are looking for a mid-range conditioner for color treated hair, Redken is the one for you. There are different variations of the Redken Color Extend line, but I would suggest the Magnetics line, as it is formulated without sulfates (which we already covered can strip hair color). Strengthens hair and protects color from the effects of frequent washing and other environmental damages. Detangles and smooths, while adding shine. Repels UV rays, to keep color looking fresh. Formulated with anti-fade protection, helps maximize color retention and vibrancy. At the time of writing this post, JC Penney had a liter on sale for $24.00 (normally $32, which is a killer deal for how good it is). Designed with an RCT protein complex, soy protein, arginine, sepicap, amino ions and amino acids to stimulate the scalp, lock in hair color, restore the hair and moisturize. Detangles, conditions, smooths and softens the hair. At the time of writing this post, JC Penney had the liter on sale for $28.88 (regularly $38.50). Deposits purple pigment into your hair every time you condition. 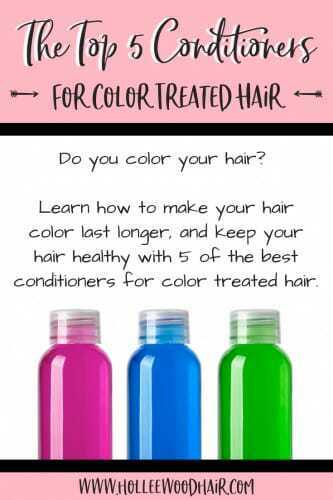 This will fight the yellow tones of blonde hair and keep your hair looking fresh. This product is not out yet (at the time of writing) but is due to be out by May 2018. More details will come. Like Redken, Joico is an excellent option for those who don’t want to spend too much money but want high-quality products. 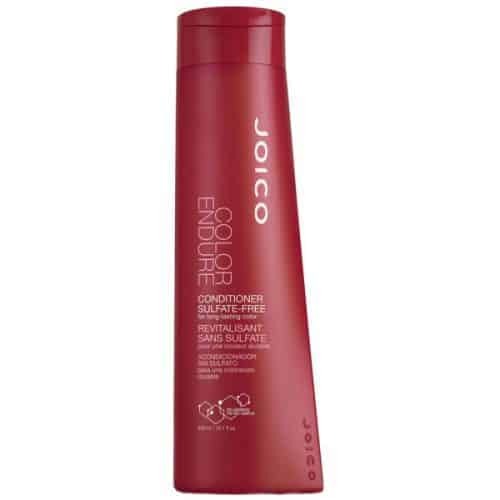 It’s also one of my favorite hair product companies; you really can’t go wrong with Joico. It’s formulated with keratin amino acids, antioxidants, and green tea to pack strength and hydration into your hair. Contains powerful UV filters to protect your hair from sun exposure. It softens your hair, protects your color, locks in moisture and maintains the true hue and vibrancy of your color. It is very affordable. Find it at Ulta (10 oz bottle) for only $16.99. Key ingredients include shea butter, sesame seed oil, jojoba oil, and sunflower seed oil to add shine and lubricity to hair, while soy protein conditions the hair. Can be used for all types of colored hair, making it one of the best conditioners for color treated hair. Helps preserve hair color and shine, while preventing fading and washout. Bumble and Bumble describe it as “a finishing coat to help hydrate, de-frizz, smooth and add a healthy-looking luster” to the hair. Can be purchased at Sephora for $34. First off, I love that Aveda is such an environmental-friendly, cruelty-free company that uses high-quality, naturally derived ingredients. They put a lot of focus into building a sustainable business and achieving carbon neutrality. In fact, they are the first beauty company to have their primary facility fully powered by wind. That being said, they also make amazing hair products. Naturally derived plant-based ingredients. It is also sulfate-free, paraben-free and phthalate-free. Conditions and detangles, while smoothing, softening and adding shine. Seals hair cuticle to protect color. Cruelty-free… never tested on animals. Formulated with Aveda’s Pure-Fume aroma, created in their botanical aroma lab. Discounts are given when larger amounts are purchased, in order to conserve plastic. Find it at Nordstrom for between $22-$88 (depending on the size). 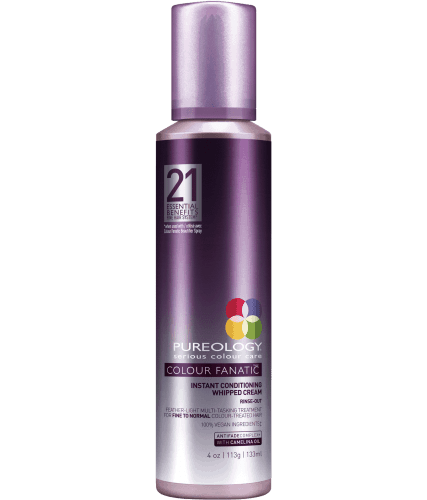 Pureology is easily one of the best hair product lines out there; just one use will make your hair feel absolutely amazing. If you are really looking to splurge on the best conditioner for color treated hair, this is the one you should get. The key benefit of this product is that it delivers all the color protecting benefits, but while being super light. In other words, it keeps your hair bouncy and voluminous at the same time that it moisturizes and protects your color. I call that a miracle product. This product is perfect for someone like me (with fine, colored hair), who needs some serious conditioning and volume at the same time. Detangles and nourishes the hair. Prevents split ends and fights dryness. Hydrates, smoothes and moisturizes hair. Softens, adds shine and silkiness. Has UV filter to protect your color from sun damage. The downside to Pureology is that it’s more on the expensive side. However, you get what you pay for and this product is worth every penny. If you have thicker hair or need something stronger, I’d recommend the Pureology Nano Works Gold Conditioner. If you are interested in trying one of the absolute best conditioners for color treated hair, Macy’s has it for $50. On the other hand, if you aren’t ready to take the full plunge yet, you can try a smaller 1.8 oz sample from Ulta for just $8! Your Turn: Did you enjoy this article? I’ll love you forever if you share it with your friends on your favorite social media website.